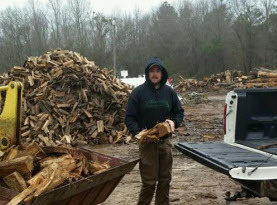 Firewood Lot & Mulch Yard – we sell Firewood, Mulch, Pine Straw, Top Soil, Fill Dirt, River Sand and more. Tree trimming and pruning allows you to keep a healthy tree alive while keeping it manageable. By trimming branches you can create the desired look you want from your tree. Just because your tree branches are growing too long or in an undesired direction or blocking your property views, doesn’t mean you have to remove the whole tree. If you do not hire a professional tree company like Milam’s Tree Service to perform regular tree maintenance, you risk your tree catching and spreading disease or creating potential safety hazards for you, your children and your neighbors. Your trees need regular care. Healthy trees not only give your home an attractive appearance, but they keep your property value high as well. For the best tree trimming and pruning service, contact Milam’s Tree Service today. While tree removal is the choice of last resort, it is sometimes most necessary. Sick trees, trees that uproot sidewalks, cause cracks in the foundation, disrupt sewer lines, have sustained severe storm damage or trees that are simply too close to important structures like houses are all examples of trees that are ripe for removal. 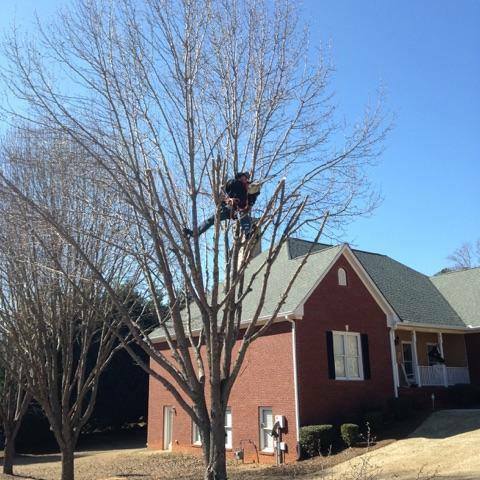 Milam’s Tree Service have a proven track record of removing even the most hazardous trees. Tree removal is very dangerous and accidents can happen very quickly. Do not attempt to remove a tree on your own. Contact Milam’s Tree Service today for expert, safe and professional tree removal. Old tree stumps can become a hindrance in your yard, especially if you are preparing to change your landscape and the stump is located in an inconvenient area. During the stump removal process, Milam’s Tree Service professionals will grind down your tree stump into wood chips and mulch. We will take those away for you or you can also use those chips for ground cover or other garden landscaping purposes. It takes years of experience to remove and grind stumps safely. At Milam’s Tree Services, we have the expertise and necessary equipment to grind your stump below the ground’s surface so you can plant, cover or revitalize the area and create the appearance that the stump was never there. 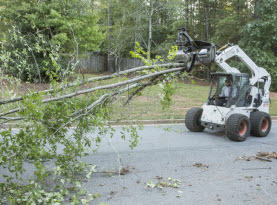 Milam’s Tree Service professionals have taken care of countless storm damage and emergency service jobs. The state of Georgia is very susceptible to weather that can cause trees to fall down. Trees that haven’t been cared for have a higher chance of plunging to the ground. Our crews can handle any situation, including removing a tree that falls on your home or vehicle. If you have trees that are decaying, dying or already dead, it’s a good idea to have them removed immediately. Otherwise, when dangerously high winds and rain come about, they are likely to fall and cause even more damage. 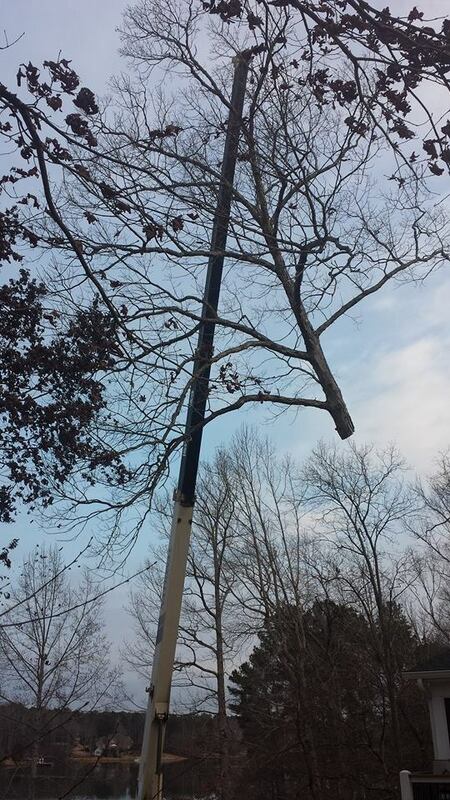 Contact Milam’s Tree Service to take care of your storm damage and clean up. We haul and remove broken tree branches that are littering your yard. Be proactive and remove the risk of additional potential destruction of storm damaged trees. We also work with insurance companies in undertaking insurance claim inspections and evaluations. Milam’s Tree Service clear land for houses, developments, roads, subdivisions and many other spaces. We will be there from start to finish providing expert service at each step, utilizing the most efficient equipment technology at your disposal. 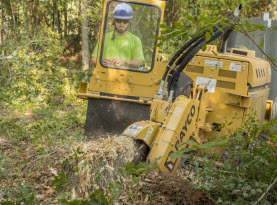 We will happily quote your job, from the very small land clearing to hundreds of acres. We factor in all aspects of the job and ensure the proper equipment for the size of the job. 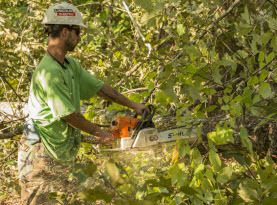 Contact Milam’s Tree Service to give you quality land and lot clearing service. Milam’s Tree Service recycles everything! The logs that aren’t used for firewood are put into a tub grinder to turn into hardwood rough bark mulch. We then dye it black, brown or red in the roto chopper for decorative purposes. In regards to the wood chips taken off jobs, we change to a 1 ½” grade in the rotochopper for playground mulch as we are Georgia State certified! In addition to firewood, wood chips and mulch, we also sell bales of pine straw needles, top soil, fill dirt and river sand. 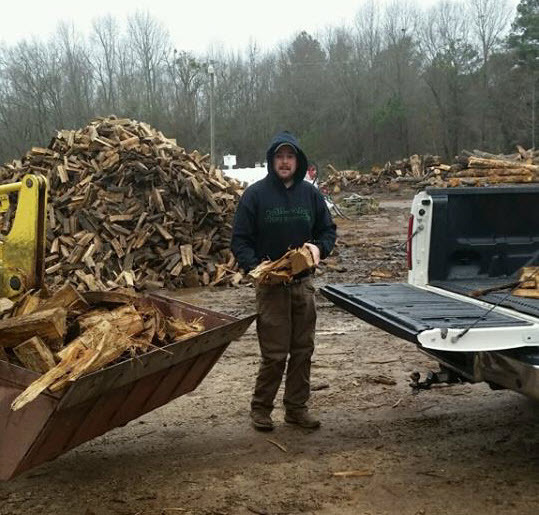 When wood comes in, Milam’s Tree Service takes all of the logs and oak for firewood to the wood splitter and then stacks it to season. We sell by the rack; 8’ long by 4” high and 4’ long by 4” high. We also sell hickory by the stick for use to add flavor to meat in wood-burning stoves, smokers, and barbeque grills etc.